Greg Tasney’s passion for the environment and his generosity means that he has propagated more 1,000 plants for use in restoration of his Rocky Waterholes Bushcare site. 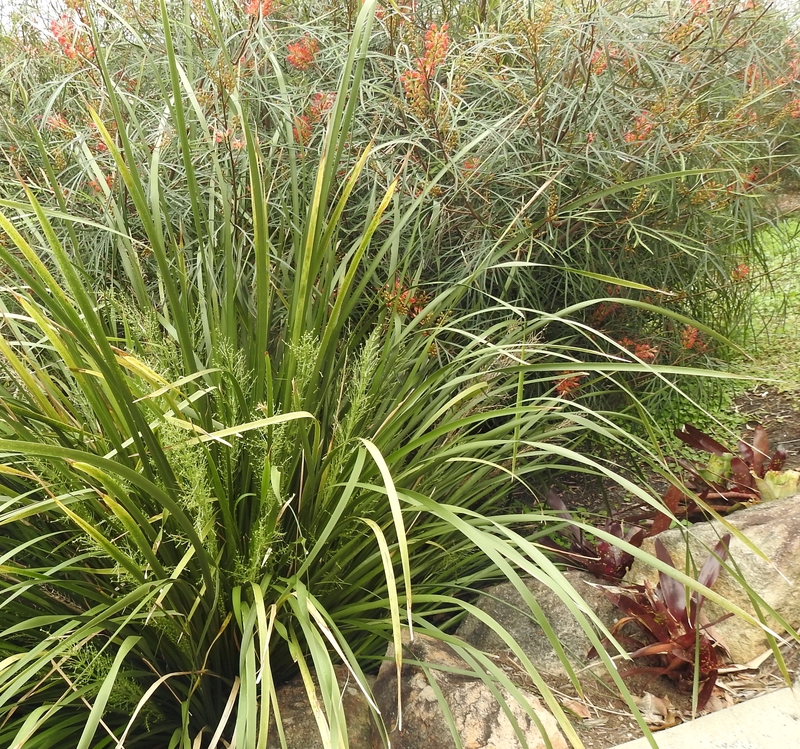 Walking round garden I was amazed by the diversity of plants: vines, grasses, shrubs, trees and wildlife in this standard suburban block. Greg’s effort and skill propagating plants for his Bushcare site and to share with others is an inspiration. 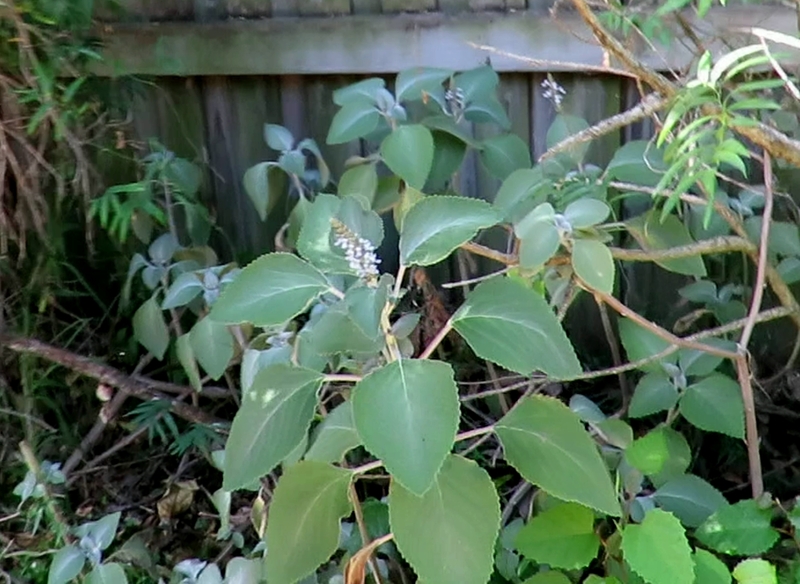 If you want to learn to propagate natives, Greg’s tip about Silver Plectranthus Plectranthus argentatus is a good start … read the Gardening Australia guide. Bush Food: Edible watery fruits with strong acidic taste. May cause scratchy reaction in throat. 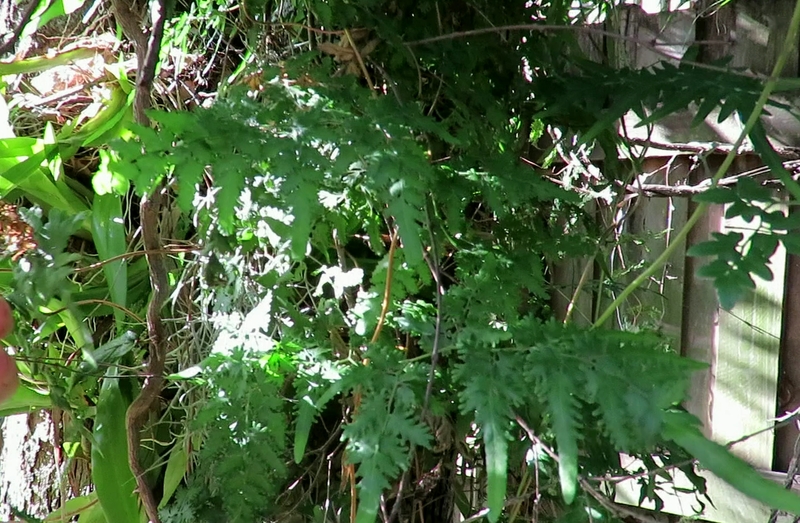 Climbing Maidenhair Fern Lygodium microphyllum is an interesting option for shady spaces in the garden. The Small-leaved Abutilon Abutilon oxycarpum is an attractive yellow flowering shrub 1.5 to 2 metre. 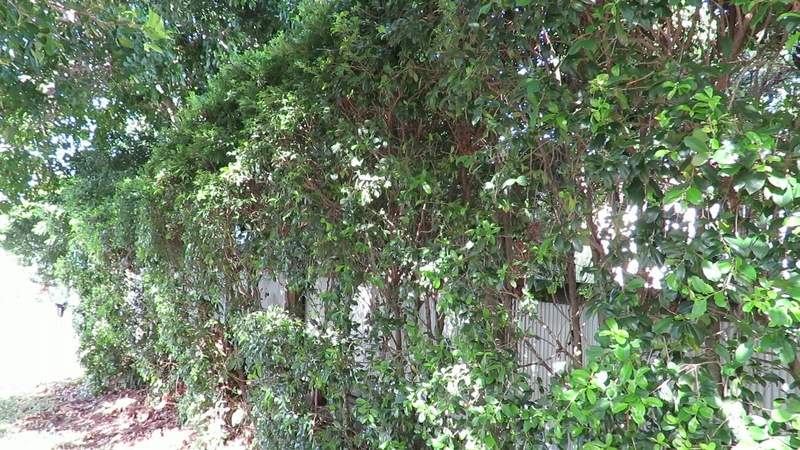 Greg refers to the Small-leaved Lilly Pilly Syzygium luehmannii as a 7-Eleven for possums, fruit bats and Figbirds Sphecotheres vieilloti. 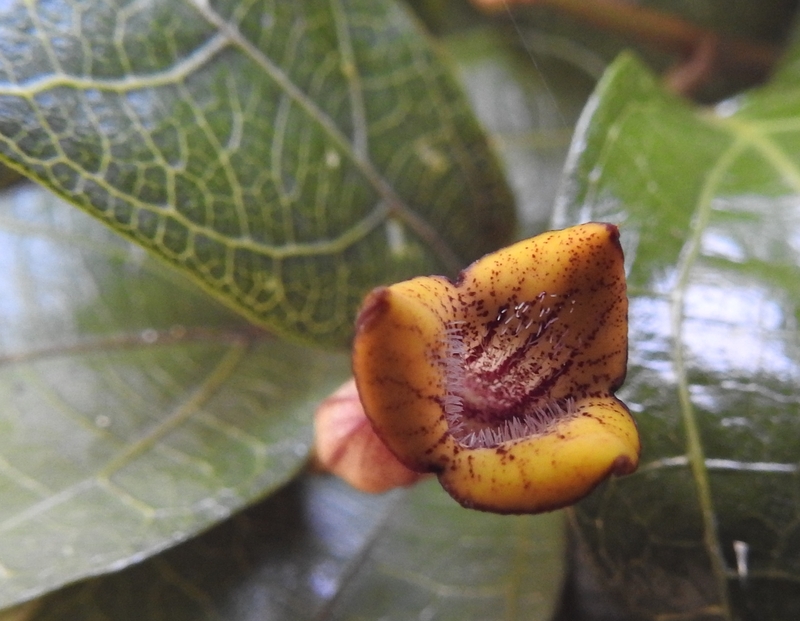 Plant the Richmond Birdwing Butterfly Vine Pararistolochia praevenosa in your Pollinator Link garden to be part of the project to save these beautiful butterflies. I received a report just last week of multiple sightings of Richmond Birdwing Ornithoptera richmondia So let’s make sure we are ready to welcome these beautiful butterflies back to our backyards. 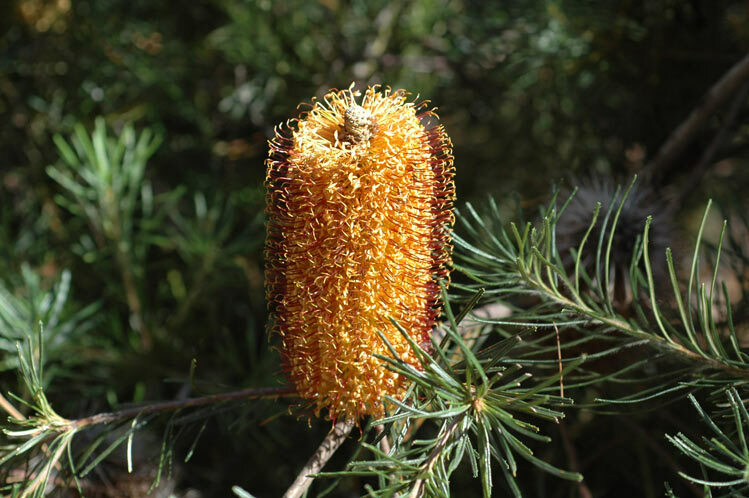 Swamp Banksia Banksia robur As the name suggests this shrub will be happy in that wet spot on in your garden or can it will do well in a drier spot if water is provided. In full sun the yellow-green flowers provide food in the difficult Autumn / Winter seasons. 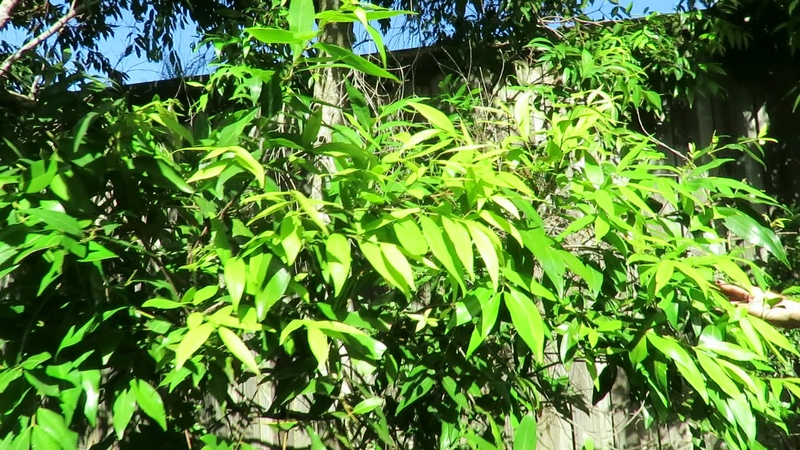 Lemon-scented Myrtle Backhousia citriodora Growing 5m tall and 3m wide in full sun this is an excellent screening tree to ground level. 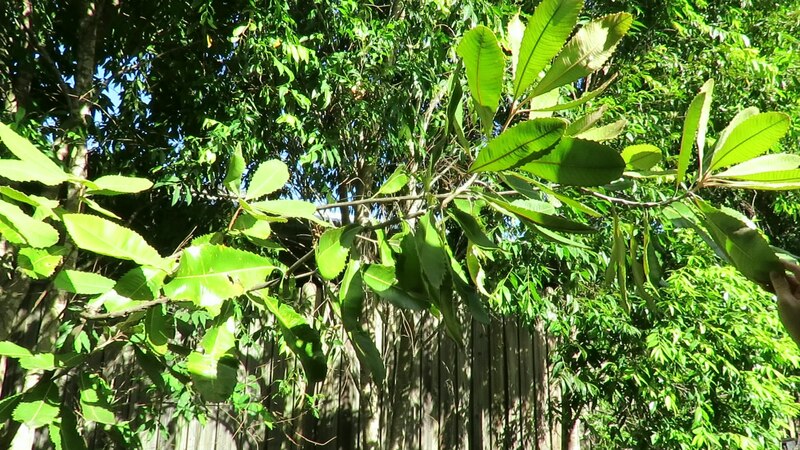 Bonus is the lemon scent from the leaves which can be used to make tea and works as a mozzie repellent. Birds visit the tree for fruit, insects and nectar. A scrambling climber Sweet Morinda Gynochthodes jasminoides (previously: Morinda jasminoides) is great for hiding an ugly corner and with pruning it makes an attractive bird sheltering shrub. Shiny leaves and sweet scented butterfly attracting flowers make this an attractive and useful addition to your garden. Greg’s somewhat untidy gardens with garden waste recycled as lizard habitat obviously work with Eastern Water Skinks Eulamprus quoyii visiting. Hairpin Banksia Banksia spinulosa is an attractive shrub growing to about 2m by 2m in a sunny position as part of a Verge Garden. 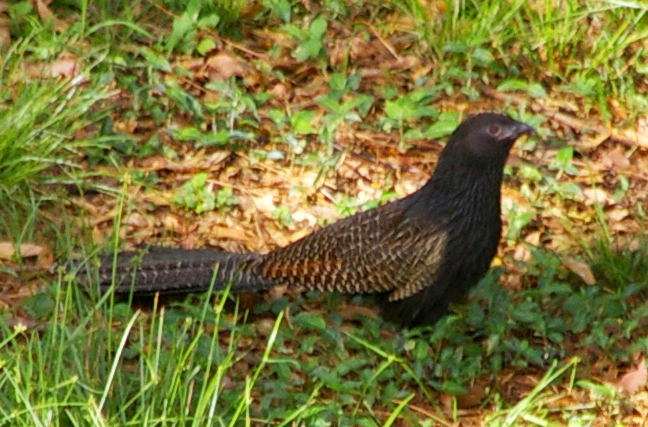 Spiders are not wildlife most people want in their backyard however when you hear the ‘oop-oop-oop-oop’ of a Pheasant Coucal Centropus phasianinus that is something special. Creek Mat-rush, Green Mat-rush Lomandra hystrix is typically thought to planted along creek however it also does well in much drier conditions. A useful Security Plant to restrict access for people and cats it is also caterpillar food for Splendid Ochre butterfly Trapezites symmomus. Creek Satinash Syzygium australe forms an attractive hedge attracting fruit eating birds and providing bush food for people. Native Mulberry Pipturus argenteus is an interesting bush food addition to Greg’s verge garden. Mothers will like the white fruit which will not stain clothes when kids have a mulberry fight. 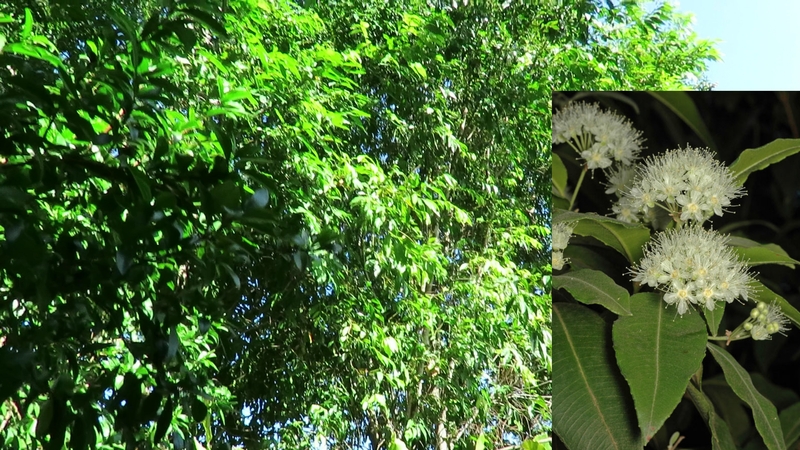 Fruit eating birds also visit and the tree will provide caterpillar food for Speckled Line-blue Catopyrops florinda, Varied Eggfly Hypolimnas bolina and Yellow Admiral Vanessa itea butterflies. This entry was posted in Bushcare, Pollinator Link and tagged Bush food, Climbing Maidenhair Fern Lygodium microphyllum, Creek Mat-rush, Eastern Water Skinks Eulamprus quoyii, Figbirds Sphecotheres vieilloti, Gardening Australia, Green Mat-rush Lomandra hystrix, Hairpin Banksia Banksia spinulosa, Joseph's Coat Moth Agarista agricola, Kangaroo Vine, Lemon-scented Myrtle Backhousia citriodora, Native Mulberry Pipturus argenteus, Pheasant Coucal Centropus phasianinus, Pipturus argenteus Native Mulberry, Richmond Birdwing Butterfly Vine Pararistolochia praevenosa, Rocky Waterholes Bushcare, Silver Plectranthus Plectranthus argentatus, Small-leaved Lilly Pilly Syzygium luehmannii, Small-leaved Abutilon Abutilon oxycarpum, Speckled Line-blue Catopyrops florinda, Splendid Ochre butterfly Trapezites symmomus, Swamp Banksia Banksia robur, Sweet Morinda Gynochthodes jasminoides (previously: Morinda jasminoides), Syzygium australe Creek Satinash, Varied Eggfly Hypolimnas bolina, Water Vine Cissus antarctica, Yellow Admiral Vanessa itea. Bookmark the permalink.